Men who love the industrial look of stainless steel bracelets will appreciate this flexible black and stainless steel bracelet. Triple rows of black plastic alternate with brushed 316L stainless steel for a look that molds to the wrist. 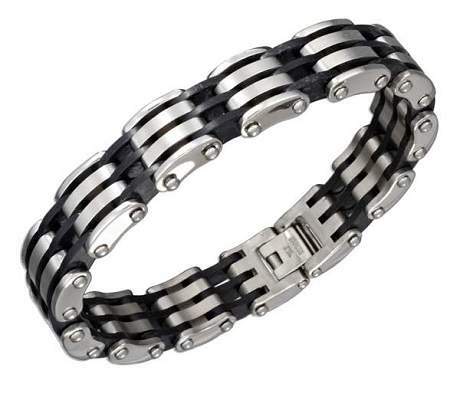 The edge of each stainless steel link has a polished finish, and the bracelet closes with a secure latch clasp.